Dr. Sarah Levy (Graduate of the Pardes Day School Educators Program 2010) is currently the Director of Jewish Life and Learning at Denver Jewish Day School. 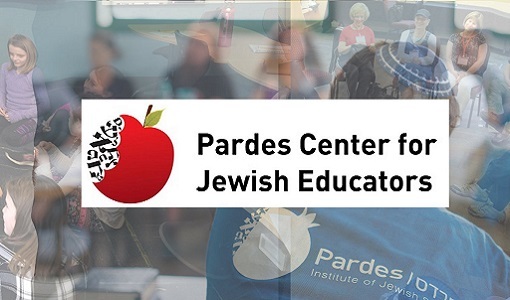 Since 2002 she has been involved in the field of Jewish education working, teaching, consulting, and writing in the areas of supplemental education, day school education, adult education, and experiential education. She holds a doctorate in education from Northeastern University and is currently earning her Masters in Business Administration. Project-based learning (PBL) is an incredibly powerful methodology that engages students in an captivating question, driving the learning in an authentic, meaningful way. If PBL seems interesting to you, but you’re still a bit unsure of how to make that jump from theory to practice, here are some tips based on what I have learned from integrating PBL into my own classroom. Develop your PBL unit around a driving question that is interesting and relevant to students. More students will be interested in exploring the question of “How can we teach the kindergarteners about the symbols on the seder plate?” than “Why is there a bone on the seder plate?” The question of “What does Bava Kamma say?” will not drive learning in the same way that “How can we use Bava Kamma to revise our discipline policy?” The key to creating a driving question is that it needs to be aligned with your learning goals, open-ended, and engaging for students. Consider asking your students to help craft your driving question in order to ensure that it’s something they find engaging. While PBL is incredibly powerful in the Judaic studies classroom, guiding resources are limited, so adapt what you can find. Buck Institute for Education offers articles, rubrics, project ideas, and more. While these resources are mainly geared towards the secular studies classroom, they are useful for the Judaics classroom as well. A template for a team contract or a rubric for critical thinking can be used as is or easily adapted for any classroom. Additionally, their project search database helps stimulate ideas, even in the realm of Judaic studies. Keep your learning goals in mind. At many schools, for better or worse, Judaic studies classes don’t have clearly articulated goals and standards in the same way as the secular classes. There are no Common Core standards for 10th Grade Chumash class. At the center of any PBL unit, however, is key knowledge, understanding, and success skills, so before planning any unit, make sure to have a good understanding of what you want students to know, do, and understand by the time the unit is complete and build the unit around that. While PBL does involve significant student voice and choice, it is also about holding students accountable for their learning. But give the students the opportunity to take control. Yes, PBL centers around key knowledge, understandings, and success skills, but student voice and choice and sustained inquiry are also essential components. As such, make sure to build in time to any PBL unit for those aspects, giving students the space to veer from the curriculum and pursue areas of interest. Foster their search for answers to questions that might seem only tangentially related. Encourage them to ask experts about aspects of their learning and then facilitate their tying it all together through the PBL process. Work collaboratively with other teachers in your building. PBL is really an interdisciplinary methodology. A student cannot create a school guide to death and mourning customs without having literacy skills and a basic grasp of graphic design. A student cannot make a presentation to the board about the school’s kashrut policies and whether or not they are in line with the Mishnah Berurah unless they have practiced public speaking. The best PBL units I’ve seen are interdisciplinary, encouraging the students to combine content knowledge and skills from various content areas into one learning experience, mimicking the way they would solve problems in the real world, to connect with other teachers in your building. Work with the literacy teacher or the art teacher or the social studies teacher in order to integrate multiple disciplines; it will result in a deep, more meaningful PBL experience for the students. Ultimately, PBL is about the students feeling like what they are learning is meaningful and relevant; what more important goal could we have for our students in the realm of Judaic studies? So, really, my best advice is to just get started.